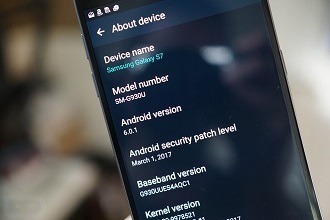 This articles shows all guides for configuration of essential settings on Android device where installed the spy app (Copy9 target version). Do configure on the target device only. In case you install the server version on your device (server version = monitor version which installed on YOUR device to view the data log) - no need to read this article. Why you must do this? Because the app works in background silently, you must configure the the essential settings. If not, it will stop working suddenly or do not work properly. For example, with saving-mode of battery - if turned on, the app will stop for saving battery and then you will not see the data of the target device. That is why almost people complained that the app work 2 or 3 days after installing, and stop working suddenly and after that it works again. It is because they did not do configurations as guide. How to know what article you should read? There are many articles in this session, you should follow the guide based on your android version and the manufacture (brand) of the device/phone. For example, the target device is a Vivo with Android version 7.1, you should read article "Vivo devices - Android version 7.x". It is very easy to know the brand/manufacture - it appears on the face or the back of your device/phone. About Android version, normally you can go to Settings, About Phone; or Settings -> More Settings -> About Phone; or Settings -> Additional Settings - About Phone, you will see number Android version label with number such as 8.1.0 or 7.1.7 or something like that. Do not see your brand or your version number in this article session? Try to follow with similar android version. For example if your Android version is 9.x but you don't see article with guide for 9.x, you can follow article for 8.x. Sometimes I see the name of the app is "System Service", sometimes I see "Internet Service" in all images in the articles?